Provide comfort for the family of Peter Vrabic with a meaningful gesture of sympathy. Peter passed away peacefully with loving family at his side at the age of 80 years on Friday, in Winnipeg. He was born in Sostanj, Yugoslavia. Predeceased by his parents Peter & Aloisia Vrabic, his sister Slavi and brother Alois, Peter will be lovingly remembered by his wife of 52 years Janina; son Czeslaw (Christine); son Jerzy (Michelle); grandchildren, Kaylah and Matthew; sister in law Elizabeth; nephews, Peter (Tania), David (Kristin), Stephen and niece, Lydia and families as well other very special friends. Peter immigrated to Canada in 1960 and was proud of his lifetime career at Eaton’s where he worked from March 1961 to November 1993. He was grateful for the many long lasting friendships he made over the years. Peter was a true gentleman - kind, respectful and a man who always thought of others before himself. Peter was always the first to lend a hand to anyone in need and was particularity fond of his friends and neighbours. He was jokingly given the title “Mayor of Atlantic Ave”. He had a quick wit and loved to learn and study scripture and history. A special acknowledgment to doctors, nurses and all of the support staff at St Boniface Hospital Intermediate Medical Care Unit for the loving patient care provided to Peter. In lieu of flowers, Peter’s request was that a donation be made to a person’s favourite charity. Prayers and Visitation will be held On Thursday, March 28, 2019 at 7:00 PM at Mosaic Funeral Chapel 1839 Inkster Bvd. Mass of the Resurrection will be celebrated on Saturday, March 30, 2019 at 10:00 AM from St. John Cantius Roman Catholic Church, 846 Burrows Ave. Interment in Holy Ghost Cemetery 4287 Main St, West Saint Paul, MB. 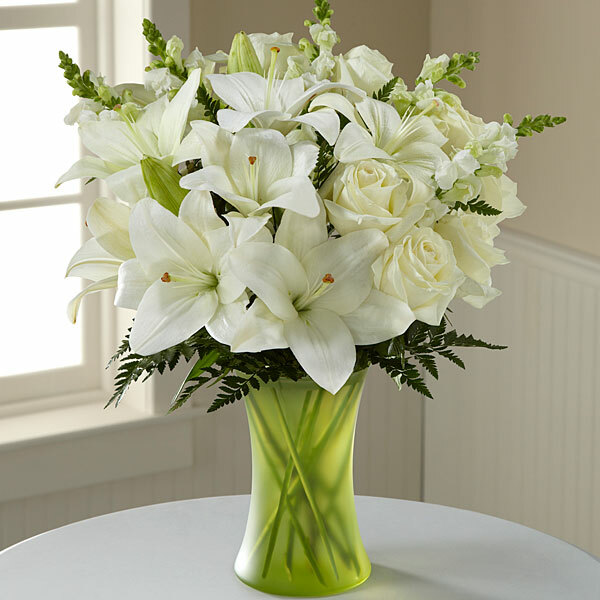 To send flowers in memory of Peter Vrabic, please visit our Heartfelt Sympathies Store. Maria Knaus sent flowers to the family of Peter Vrabic. Maria Knaus purchased flowers for the family of Peter Vrabic. Our deepest sympathies to Janina, your sons and families. We will remember Peter as a person with so many admirable qualities. He was caring, compassionate, a friend to all and had a strong sense of community by always being there to help others. Our conversations were always very thought provoking and his sense of humor and positive attitude were very uplifting. My parents will miss his visits and friendship, they were very fortunate to have him as a friend and neighbor. He was always so thoughtful, always asking about the family and how everyone was doing. The way Peter lived life is an example to us all about how life should be lived. Our loss is heaven's gain. Keeping you in our thoughts and prayers. Knaus/ Parker Family - Maria, Chris, and children David, Michelle and Greg.